Happy World Malbec Day, my fellow oenophiles! 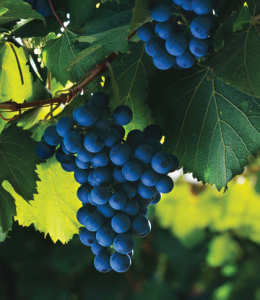 Today we celebrate the sumptuousness and seductiveness of Argentina’s most prominent red grape. I’ll admit that I am a big fan of Malbec in general, especially New World versions from Argentina and the United States, but what I appreciate most is its flexibility. Whether you want to dress it up or dress it down, pair it with a main course or with a dessert, or just drink it by itself, the expressions of Malbec are versatile and accommodating. When I feature Malbec in wine tastings, I like to pair it with a hearty food companion to stand up to the tannins and compliment the smoke and spice which are so often hallmarks of this great grape. If I have adequate time to prepare, I will often do a slice of roast beef with some caramelized onions served on crostini. If I need something quicker or more streamlined, a slice of farmhouse cheddar on a peppery cracker will also work well. For my personal celebration of World Malbec Day, my kitchen will feature a steak with a nice BBQ spice rub, grilled asparagus, and parmesan mashed potatoes. A little dark chocolate will cap off the meal and compliment the very same varietal that stood up to my steak! It’s hard not to love a wine that will go from appetizer to after-dinner sweets without missing a beat. Ben Marco Malbec, Mendoza – this is possibly my all-time favorite, and an amazing option under $20, but can be a challenge to find. Cruz Alta Malbec Reserve, Mendoza – a beautiful, expressive option that will pair well with a variety of foods for under $15. Whatever you do to celebrate World Malbec Day, be sure to lend your palate to the magnificent Malbec.